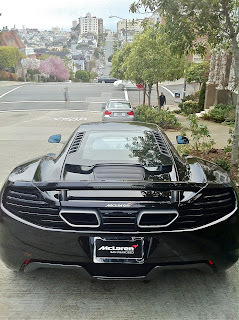 I'm not a huge car-nut, but I do love seeing exotic sports cars and knowing at least something about them. The shapes and lines that exist only in the upper tiers of the automotive world are something that I appreciate immensely. 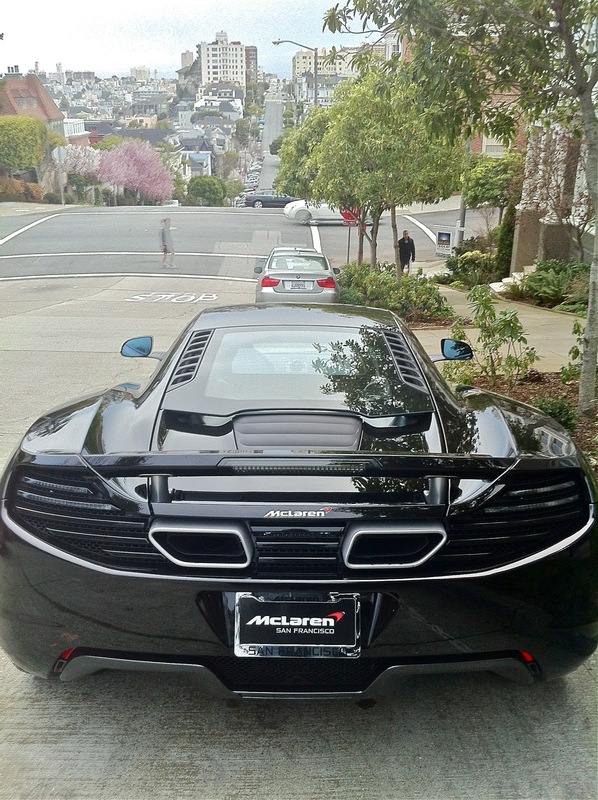 So, today, as Bunny & I took a walk in the marina & pacific heights area of San Francisco, I was delighted to happen upon this McLaren MP4-12C, one of the nicest supercars to be released in the last few years (in my opinion at least).